Alfa Romeo will end a 33-year hiatus from Formula 1 when they return to the grid with Sauber next year. 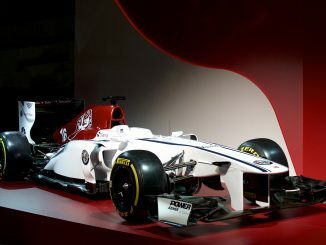 The Italian car manufacturer has agreed a multi-year deal which will see the team renamed Alfa Romeo Sauber from the 2018 season. Alfa Romeo are F1’s oldest champions, winning the first two drivers’ championships with Nino Farina and Juan Manuel Fangio in 1950 and 1951, although they never secured the constructors’ title. Their first stint in F1 was a short one though. Despite two championships, Alfa Romeo, which was owned by the Italian government at the time, pulled out of the sport ahead of the 1952 season due to a lack of funding. The team had wanted to develop a new car to stay ahead of Ferrari, having mainly used parts, materials and technology from before the war in their opening two seasons, but the state refused the fund the project. The Alfa name remained in F1 throughout the 1960s and 1970s as an engine supplier, which included a spell providing engines to Brabham, who were then run by Bernie Ecclestone. It was while Brabham were struggling near the back of the grid with an unreliable, bulky engine that used too much fuel that Alfa Romeo gave their competition department, Autodelta, permission to start working a new F1 car. Autodelta’s efforts found their way to the grid during the 1979 season at the Belgian Grand Prix in Zolder. It was a promising start, as Bruno Giacomelli qualified 14th ahead of the Renaults and McLarens, but a collision with Elio de Angelis on lap 21 cut his race short. The manufacturer made their full-time return in the 1980 season, and a strong performance from Giacomelli at the Argetine Grand Prix saw him clinch 5th after starting the race in 20th. That was to be the team’s only points finish in the first eight races of the season though, as mechanical problems and collisions resulted in 13 retirements for Giacomelli and teammate Patrick Depailler. Tragically, Depailler was killed in a pre-event test at the Hockenheimring ahead of that year’s German Grand Prix. In the race, Giacomelli picked up another 5th place, in what would be the team’s only other classified finish that season. It was almost a fairytale finish in the final race of the season at Watkins Glen, when Giacomelli secured an unlikely pole position. By lap 30, he’d opened up a 12-second lead over Alan Jones, but an electrical fault resulted in him grinding to a halt two laps later. Reliability improve the following season, but points remained hard to come by until the end of the campaign, when strong performances in the final two races led to back-to-back points finishes, including a podium for Giacomelli at the Caesars Palace Grand Prix. Another podium came the following season for new signing Andrea de Cesaris, who finished third at the Monaco Grand Prix, but 19 retirements for the two cars in 16 races hindered progress. Alfa Romeo’s best year in F1 since winning the 1951 drivers’ title came in 1983, with De Cesaris and Mauro Baldi helped the team to 6th place in the constructors’ championship. There was little to shout about in the first half of the season, with De Cesaris missing the opening race in Brazil after being excluded for missing a weight check, while retirements continued to be a problem elsewhere. The team’s fortunes started to turn around at the British Grand Prix, with both cars finishing in the top 10, before De Cesaris secured their highest finish since returning to F1 with a second in Germany at the next race, which the Italian driver equaled in the final race of the season in South Africa. The car continued to put in competitive performances when it worked throughout the 1984 campaign, the highlight of which was a podium finish for Ricardo Patrese at the Italian Grand Prix. However, the turbocharged V8 engine being used by the team at the time proved less efficient than many of its rivals’ engines in a season when refuelling wasn’t allowed during pit stops. The team had to take some of the boost off the engine in order to make sure they didn’t run out of fuel, which left the car short of power. Alfa couldn’t fix the problem in time for the 1985 season. In fact, 85’s car was so bad they ended up switching back to the 1984 effort midway through the campaign. Although the switch gave the team a more competitive car, they finished the year without any points and pulled out of F1 again. Patrese has since described the 1985 car as the worst he has ever driven! So what does the future hold for Alfa Romeo in F1? Well, problems of the past such as funding and development shouldn’t be an issue, with the Alfa brand now part of the Fiat Chrysler Automobiles group, which also owns Ferrari. 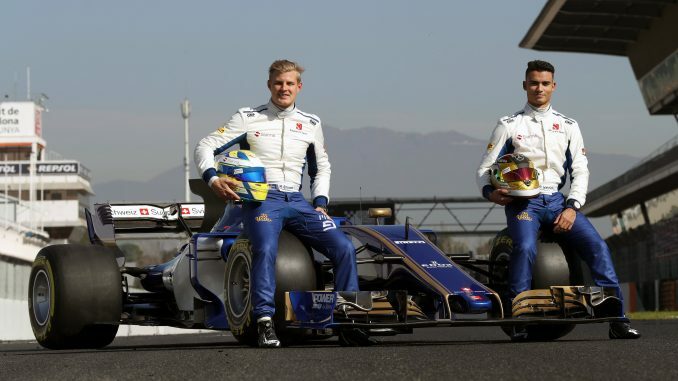 The deal between Sauber and Alfa Romeo has been described as a technical and commercial partnership, which is probably bad news for Marcus Ericsson. Sauber have relied on funding from his backers in the last couple of years, but with money coming in from FCA, the Swedish driver’s performances almost certainly won’t be enough to keep him at the team. Alfa Romeo won’t be developing their own engine, as Sauber had already agreed a deal to use the 2018 Ferrari power unit. This means we can expect to see young Ferrari drivers in the car. 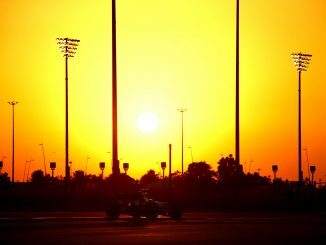 Charles Leclerc looks certain to take one of the seats next year, having taken part in Friday practices and completed a full day’s testing on the 2018 tyre compounds in Abu Dhabi this week. Antonio Giovinazzi continues to be linked with the other seat. Alfa Romeo are a proud Italian brand, and have always had an Italian driver in the car when competing in F1 in the past. Unlike Leclerc, Giovinazzi has experienced a couple of full race weekends in F1, filling in for the injured Pascal Wehrlein at the start of the 2017 season. The 23-year-old had contrasting weekends, securing a promising 12th on his debut in Australia, before typical rookie errors led to crashed in qualifying and the race at the Chinese Grand Prix. He’s been back in a number of Friday practices since with Haas, but would be available for a full-time drive if Alfa Romeo Sauber were to offer him one. Sauber have been a frustrating team to watch in 2017, often only troubling the front runners when Hamilton, Vettel and Co. Have been lapping the struggling backmarkers. 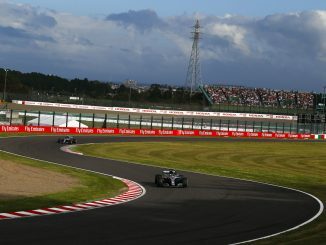 The team is one that is often willing to take risks on strategy, regularly splitting their tyre choices, trying longer or shorter stints in the race in a bid to make progress up the field. They haven’t had the car to convert these risk-taking moves into success this year, but with a better Ferrari engine and the financial and technological support of Alfa Romeo, 2018 could be a very different matter. In the statement announcing the partnership, it’s interesting that Sergio Marchionne was the one to give quotes from the Fiat Chrysler Automobiles. Obviously, he was speaking in his role as CEO of the group, but he’s also chairman of Ferrari, and has widely been rumoured to be replacing Mauricio Arrivabene as team principal from 2018. He and FCA have in interest in ensuring Alfa Romeo Sauber is successful to protect their brand, as well as potentially helping the Ferrari team as we discussed in this week’s podcast episode. Alfa Romeo have quit F1 twice before – one way or another they won’t sit at the back of the grid for long this time.